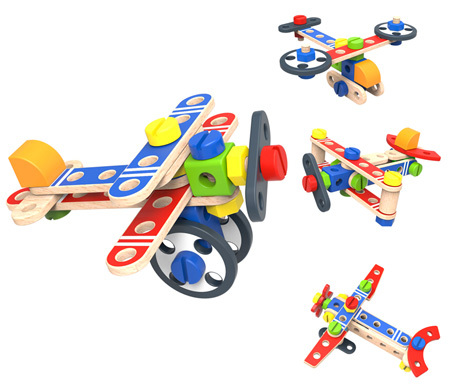 Wooden DIY Construction Set Planes is a brilliant 48 piece wooden building set with and aeroplane theme. This set comes with a wooden screwdriver and spanner so you can really get to grips with those nuts and bolts. The best part is you can make the suggested projects or whatever you desire. We like this because: "Really strong good quality wood."